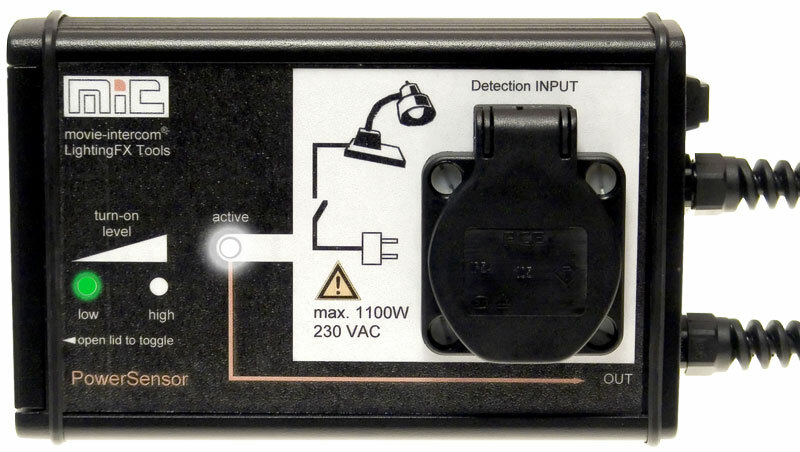 The PowerSensor can synchronize an effect of a switched / destroyed practical with film lighting by electrical detection. Automatically synchronize film lighting with a switched practical. 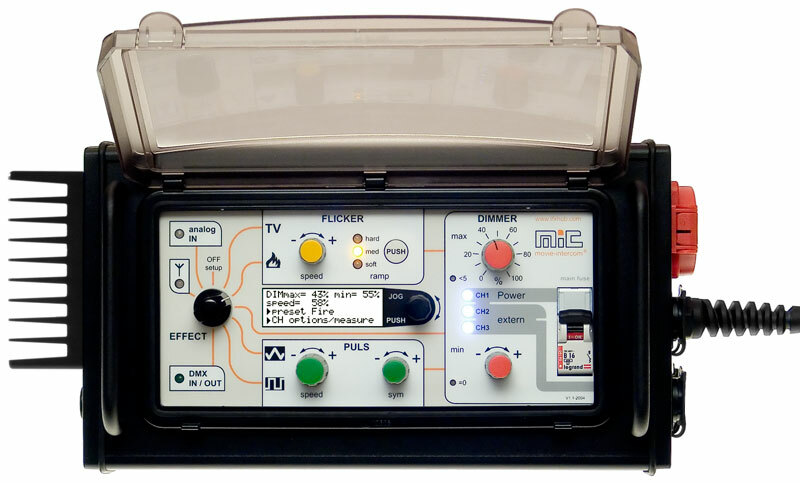 Simply plug-in the practical into the detection input. 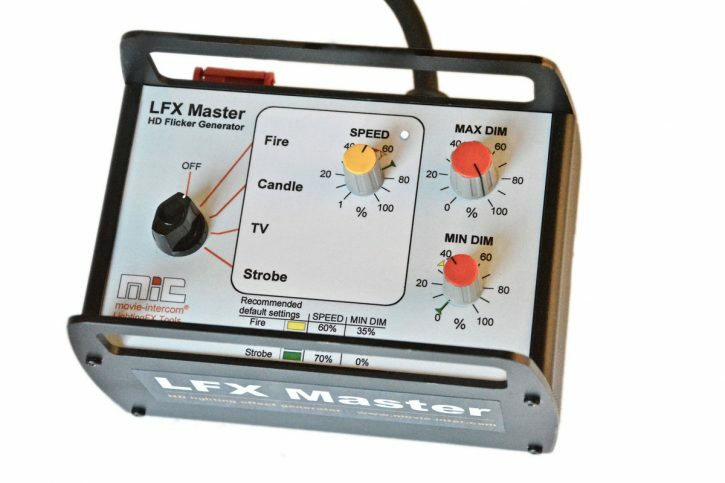 The PowerSensor can trigger any preset/effect producible with the LFXHub by electrical detection. 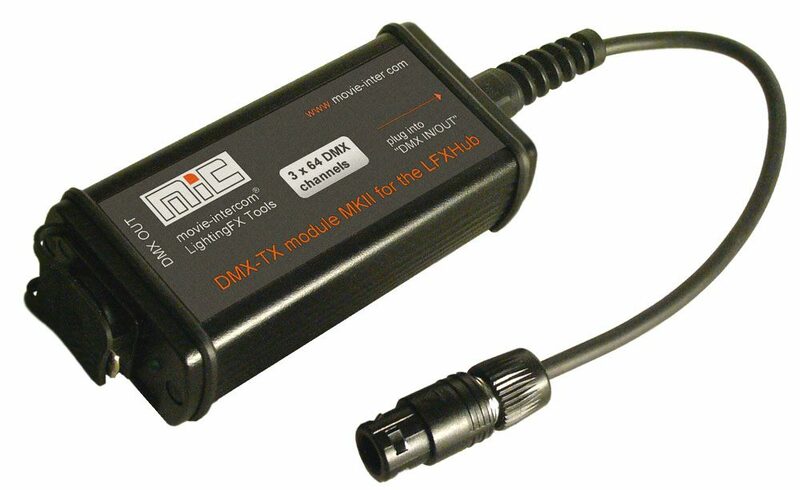 Control an unlimited load of lamps connected at the DMX-512 output of the LFXHub – with a switched practical. 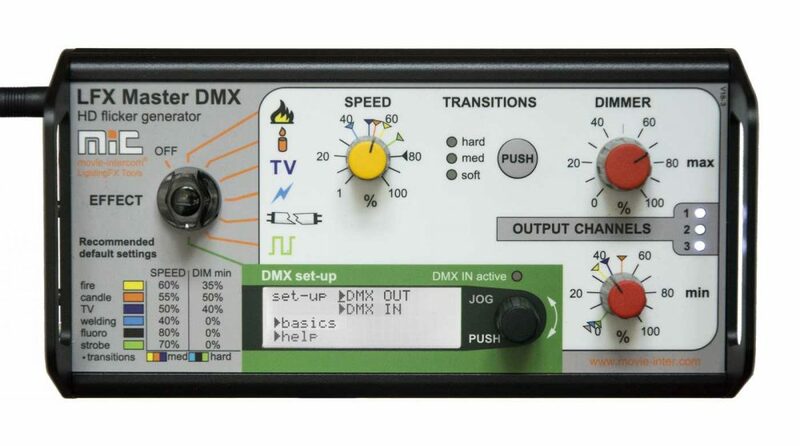 No re-wiring of practicals required, just plug & play. 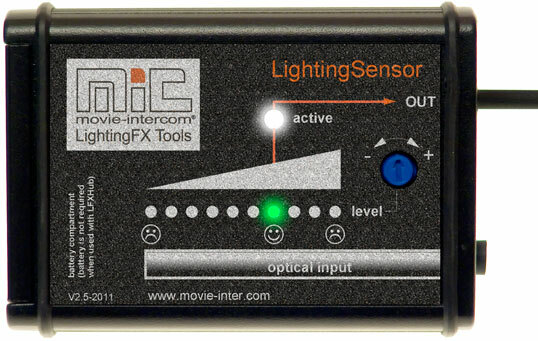 The Powersensor is the choice for SFX related sync of lighting effects. Let the talent switch the set lighting!